First, our Jubilee Line train stalled right before it reached Wembley Park station last Sunday. Then, in what seemed like a bad omen, the Eagles offense seemed to stall as well late in the 4th quarter. Luckily, both made it to their desired destination in time. The London “Underground” train, after halting for about 10-15 minutes, made it to Wembley Park, and the Eagles managed to not give up another late lead and lose the game. After the Eagles took a 24-15 lead with 9:55 left in the 4th quarter, they allowed the Jaguars to go 69 yards on 10 plays before stopping them at the 6-yard line and forcing a field goal, which cut the Birds lead to 24-18. But regardless of which city or continent they are playing in, the Eagles have been prone to giving up late leads over the first half of the season. So when the team went three and out on its next possession and punted to Jacksonville, thoughts of another late game collapse must have been permeating through the minds of all those who had made the trip to London to watch their beloved Birds. Those thoughts came to the forefront when, on 4th & 1 at their own 36, the Jaguars converted and kept their drive alive. Somehow, the Eagles seem unable to stop anyone on 4th down, and this only solidified that opinion especially in this writer’s mind. But when the Jaguars reached 3rd & 2 at their own 48, they were unable to convert on two straight passes, and the Birds offense garnered two more first downs to run out the clock and seal the game. If the Eagles were playing a quality opponent, the outcome could have been different. But this was the Jaguars, a team that was still trying to find the magic that got them 15 minutes away from reaching the Super Bowl last season. With the win, the Birds got to 4-4 and more importantly, did not send their faithful out into the jam packed line waiting to board the train asking themselves why they made this trip to see another devastating loss. While I expected throngs of Eagles fans to make the trip to London, the one thing that surprised me was how many British football fans there actually are. If one wanted to gauge the heavy attendance of the Brits at Wembley Stadium last Sunday, the evidence could be found when the singing of the Star Spangled Banner was followed by the singing of God Save the Queen. As soon as the song began, one could hear thousands in attendance at Wembley singing along, signaling that American football is not only a game followed by those who live on American shores. 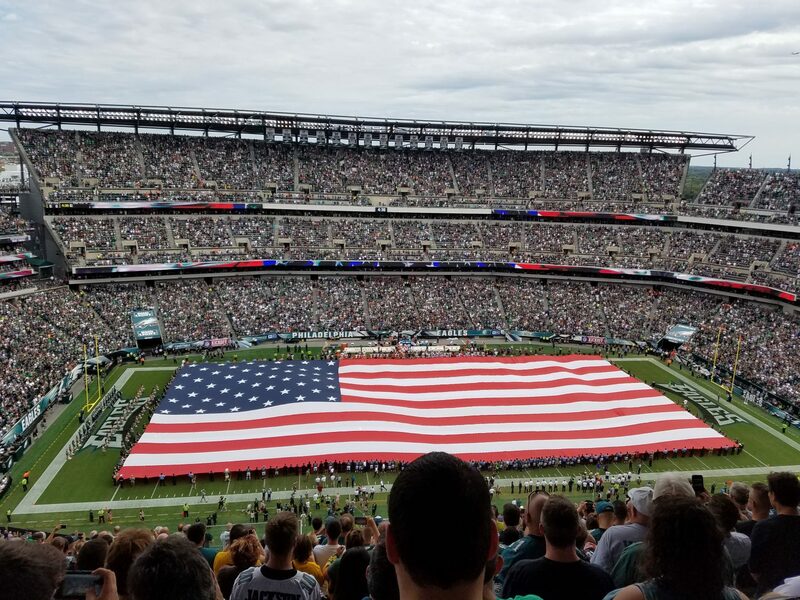 And while, on my many visits to other cities to watch the Eagles, I’ve always been surprised at how many Birds fans I’ve met who’ve never lived in the Delaware Valley, I was also equally amazed to see how many Eagles fans there were who reside in the U.K.
For example, my father, while waiting in the concession line during the game, met a young man in his 20’s who drove from Manchester to Wembley on the morning of the game just to watch his favorite NFL team, the Eagles, play. His girlfriend, who was in attendance with him, was a Redskins fan because…well because she found a Redskins hat at a young age and started wearing it. Everyone has their reasons for becoming a fan of a team I suppose (ironically, my brother-in-law is also a Redskins fan, but that’s because he grew up in Northern Virginia, not because he found a hat). On the train leaving the game, we spotted an older British gentleman wearing a Carson Wentz jersey. Curious, I asked him how he became an Eagles fan. He replied that while he had lived in the U.K all his life, he got hooked to the NFL, and became a Philadelphia fan, while listening to game broadcasts on Armed Forces radio back in the 1970’s. 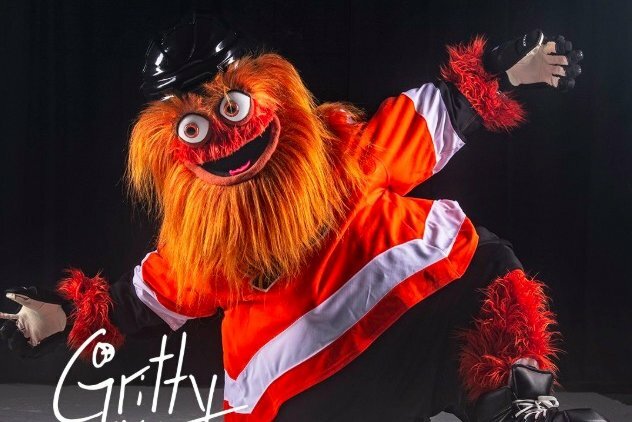 He explained to us, in delight, how he had the chance to visit Philadelphia and experience a game back at the “Vet” in the 80’s. It’s stories like these that make Eagles road trips just as memorable as watching the game itself, and I’m glad that, in the case of the London game, we could make a memorable family trip out of it. Steelers at Ravens 1:00 PM CBS – I keep hearing how good of a team the Ravens are, but with a record of 4-4, they have been inconsistent thus far. The Steelers always seem to be in play for a playoff spot, though some of their fans (namely, my friends who are Steelers fans) would like to see a change at the head coaching position. Being a battle between two division rivals, this should be an intriguing contest, and represents the only marquee matchup in the 1 PM EST time slot. Chargers at Seahawks 4:05 PM CBS – The Chargers hope to take that next step and become an elite team in the AFC. But time is running out for quarterback Philip Rivers, who is now in his 15th NFL season, to reach that elusive Super Bowl. The Seahawks defense is no longer the “Legion of Boom” team they were just a few years ago, but they have been playing well as of late. And while the Los Angeles Rams, barring a collapse, will run away with the NFC West, Seattle is hoping to get an invite to the NFL playoff dance via one of the two wildcard spots. Rams at Saints 4:25 PM FOX – This game is the best one on the docket this week, as it pits the top two teams in the NFC against each other, and could determine who gets home field advantage in the NFC playoffs. The Rams held off the Packers at home last week, but should have a tougher time on the road in the New Orleans Superdome. L.A is the lone undefeated team left in the NFL, which could change by Sunday night. Packers at Patriots 8:20 PM NBC – Aaron Rodgers vs. Tom Brady…need I say more? Ironically, these two have yet to face each other in a Super Bowl, and I don’t see that changing this season. For three quarters, things were going so well. For three quarters, Eagles fans were watching the team they remember so fondly from last year…you know, the team that got off to a big lead and won so easily. For most of this season, it seemed that the Eagles were in a funk. But in last week’s Giants game, and for three quarters of the Carolina game, Philadelphia looked like it had finally ate the snickers bar and become “themselves” again. And then it all unraveled before you could say “Piccadilly Circus”. In one of the most bizarre quarters of football I ever recall, Carolina scored 21 unanswered points in a 21-17 Eagles defeat that left most of the 69,000 plus fans who had ventured to the Linc on an unseasonably chilly and windy day, understandably despondent and confused. Perhaps the Eagles were thinking ahead to visiting Big Ben, Windsor Castle and the London Eye, instead of keeping an eye on Panthers wide receivers Devin Funchess & ex-Eagle Torrey Smith, who torched the Birds for a combined 10 catches for 123 yards and one touchdown? Perhaps defensive coordinator Jim Schwartz started reading the London Underground “tube” map, thinking it was his defense’s play calling sheet? That would explain why his defense seemed like it was underground and stuck in a tub for the whole 4th quarter. But the Eagles offense is not without its share of blame either. Just as the defense, which had played so well for three quarters, completely fell apart, the offense, which had done the same for most of the contest, decided to match the defense’s 4th quarter ineptitude. The same Eagles offense which managed 19 first downs through the first three quarters only managed two in the final 15 minutes, and Carson Wentz’s decision to throw to a double covered Alshon Jeffery instead of opting for a short pass to a wide open Wendell Smallwood on 3rd & 2 on the Eagles final drive sealed the game. Wentz’s stats for the day were simply amazing – 30 for 37 passing for 310 yards with 2 touchdowns and no interceptions. But his numbers masked that he, just like the rest of the team, were abysmal when it came to closing out the game. The Eagles now sit at 3-4 and are a defensive stop on 4th & 10 against Carolina and 4th & 15 against the Titans, respectively, from being 5-2 instead. But as ex-Giants coach Bill Parcells once said, “You are what your record says you are”. And the Eagles are simply average at this point. The Birds travel to London this week to try to erase the bad taste that still permeates after a bad loss to Carolina. And while the Eagles 4th quarter collapse did deflate my London trip balloon somewhat, it will be the first time that the Birds will play a regular season game overseas, which will make it all the more exciting for their fans who travel almost as well as Steelers fans. The Eagles opponent for their inaugural international game will be the Jacksonville Jaguars, who have played a home game in London every year since 2013. The Jags made it to the AFC Championship last season, and were a quarter away from facing the Eagles in last year’s Super Bowl. Since starting the season 3-1, however, the Jags have lost three straight and have been outscored 90-28 during their losing streak. They benched their quarterback, Blake Bortles, during last week’s 20-7 loss and replaced him with journeyman Cody Kessler, though Jacksonville coach Doug Marrone did state that Bortles would start against the Eagles on Sunday. Before the season, I saw this as a loss for the Eagles, with the thought that facing a good Jacksonville team that was used to playing annually in the U.K would be a tough task for the Birds. But the Jags have turned to pussycats as of late, and this is a great opportunity for Philadelphia to forget about the Carolina game and right the ship heading into their bye. A win would put the Eagles at 4-4, which is not where the defending Super Bowl champions expected to be at this point. And while there is still half of a season remaining to be played, the schedule only gets tougher from here, with road games against the Rams & Saints still looming. Luckily, the NFC East is weak this year, which still gives the team a chance at a division title and a first round home playoff game. But we should forget about any hopes for a first round bye and home field advantage in the playoffs at this point. While we were looking forward to drinking Chimay when the season started, we may have to settle for Coors Light. But regardless of the Eagles record, I plan to enjoy my time in the U.K with the “Birds & the Brits”. Eagles win 24-17.